Cloud Storage Capabilities- What Can You Do With Cloud Storage? Cloud Storage has changed the way companies manage their documents. It gives you a tremendous tool at a scaleable price that can be used universally wherever you need it. There’s a lot of reasons to make the transition to a paperless office, but cloud storage does have some unique and tremendous capabilites that will take your document management to a whole different level. One of the biggest advantages of cloud storage today is the ability to customize the type of storage and/or services you need for your business. You can even select the type of cloud services you need for certain types of information on your network. You can also select the capacity and access levels for every document in the system, making it a very efficient way to manage and manipulate a large amount of documents. Keep in mind if you have very specific needs, be sure to choose the right provider for your business, and don’t sacrifice performance for price. Since cloud storage is usually software driven and usually require a very small investment in hardware (if any), there’s an easier point of entry and a less painful transition than buying a dedicated in-house server or adding to your existing infrastructure. Although there are ongoing costs to lease the software (or to purchase it), you can minimize that cost through increased efficiency and decreased cost of labor to manage and find hard-copy documents. Usability is key- almost every cloud storage solution is universal to Mac and PC, and has the ‘drag and drop’ option, so any file can be sent easily to your cloud storage. Backing up systems is also a lot more user-friendly and can be done automatically. The interfaces are also easier to understand and manage, reducing the time it takes to train employees and have them adopt the new system. If your company has Internet access, you have access to your cloud storage system. Since it’s not device-oriented, users can access files on their phone, notebook, tablet, laptop or any Internet-enabled electronic device. If one of your salespeople is on the road and ends up in a severe weather event or works from home once a week, every file they send to their cloud storage drive is available. Scaleable services are one of the most overlooked advantages of cloud storage and cloud services. Expanding a businesses’ electronic capabilities used to be tremendously expensive. Now, with a series of phone calls, you can add things quickly- which gets your new employees and new clients up to speed and making you money faster. You can also grow as you go- you don’t have to worry about expanding to support future growth. Get Free Quotes on Cloud Storage and Cloud Services Today! Record Nations can help you find the right cloud storage and cloud service solutions for your needs. We work with a team of professionals that provide reliable online data backup solutions for your business. In addition to cloud storage, we can help you convert your paper records to digital copies by scanning the documents for you. 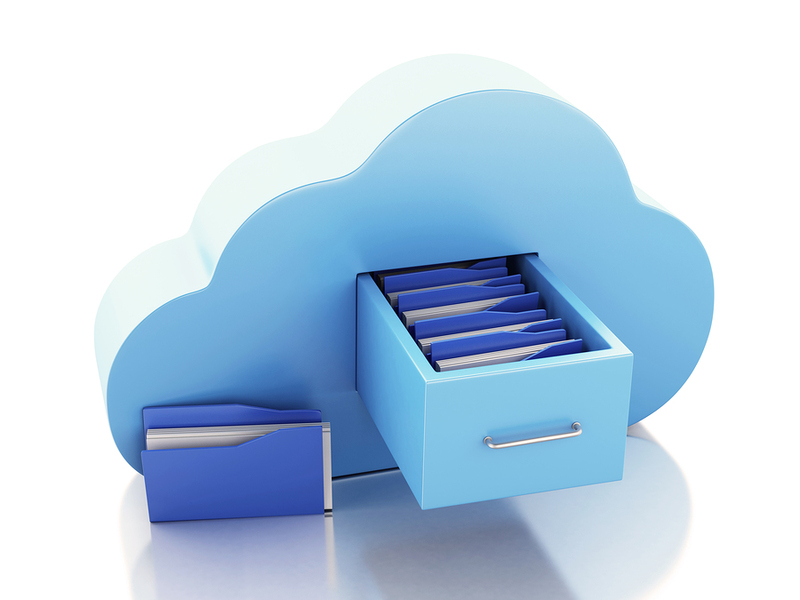 Our cloud storage services will keep your records safe and easy to access. Learn how our data backup solutions can help you today!